This is completely new!! 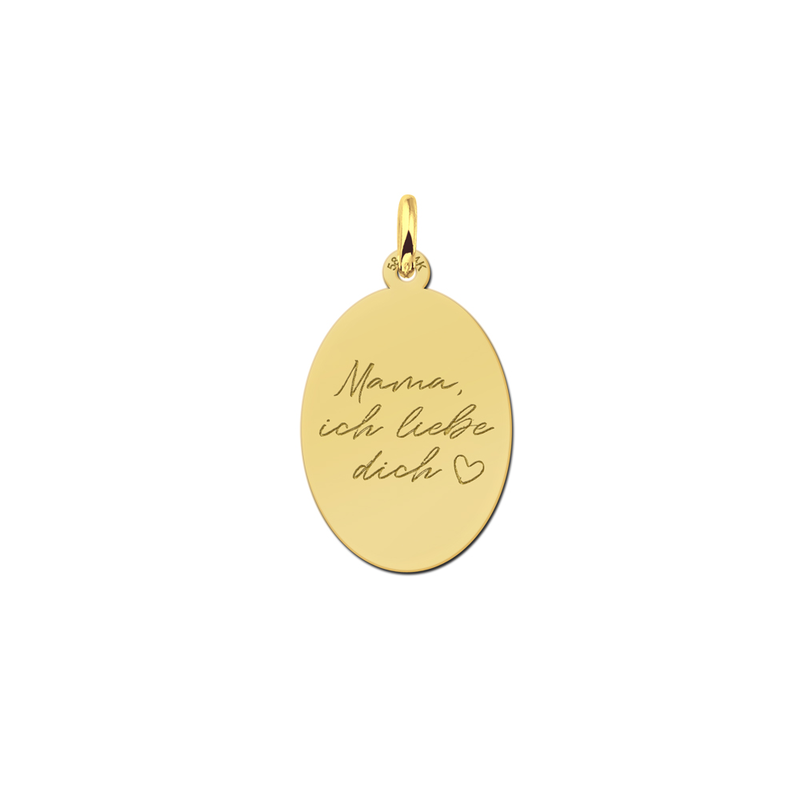 A golden or silver pendant with your own text and handwriting. What a good idea to give away as a present to your Mother or Grandmother. Your little girl can write her name herself, or your little champ can draw his own figure. It’s something you need to capture for the rest of your life. 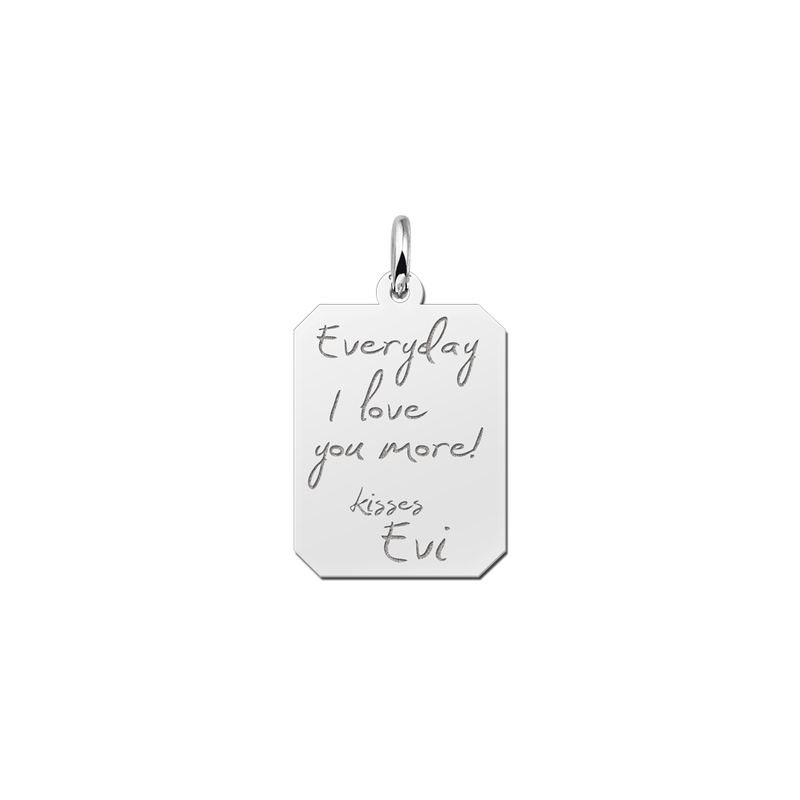 With this pendant of silver or gold with engraved handwriting you can make the most beautiful gift in the world. Let your children draw in the PDF file that is attached to each of the products and we will engrave it with lots of fun. 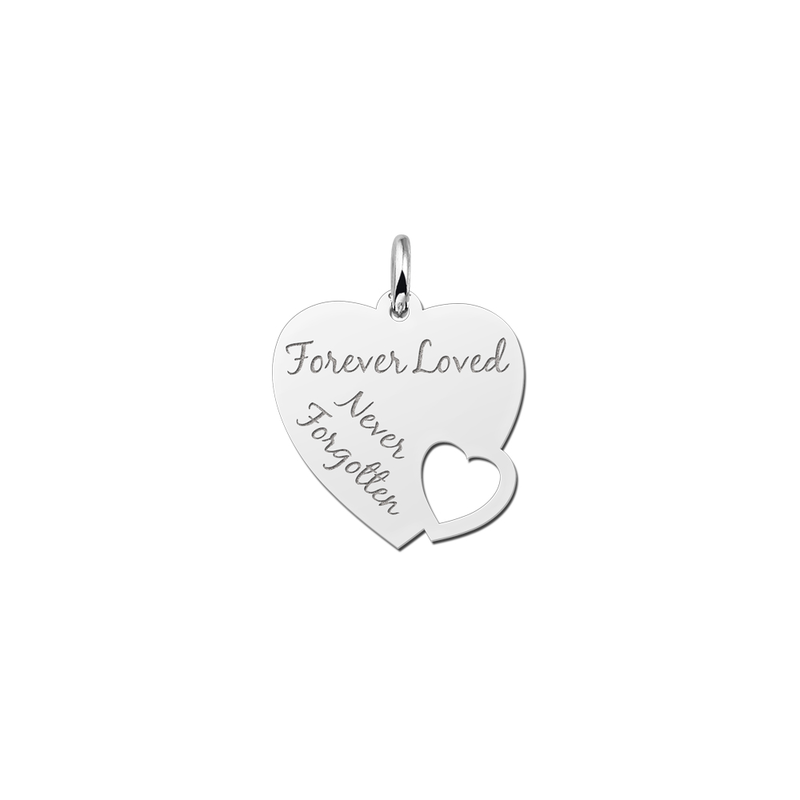 For the largest collection of silver and golden pendants with your own text you have to be with Names4ever! We have the largest collection for the best prices! This is something you’ve got to have and it can’t be missing in your jewellery-box! 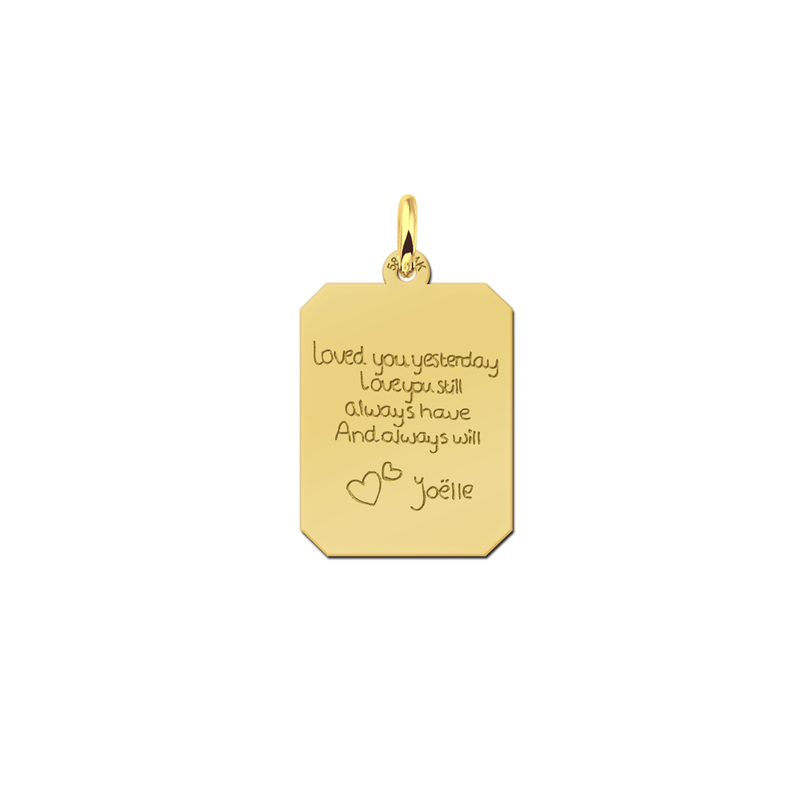 A silver or golden pendant with your own text in it. And the most beautiful part of it all is that you can hand write the text. 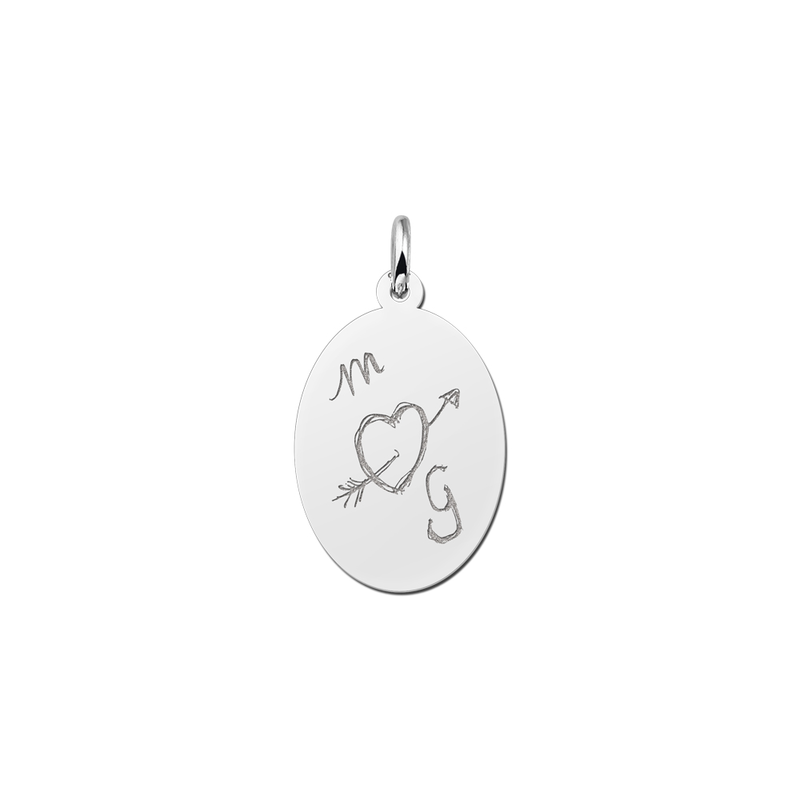 Make up a good line for your friend or girlfriend and let us make this sparkling silver or golden pendant for you! Perhaps you have your own slogan! Write it in the PDF that we have attached to each of the products. We have the nicest set of handwritten jewellery and it will make you look astonishing. 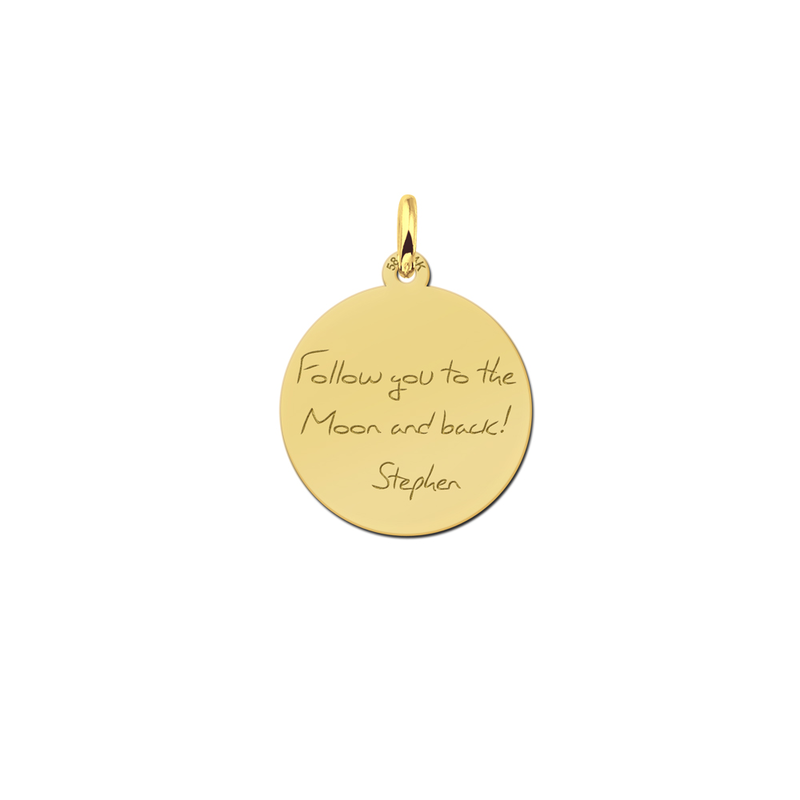 It is a pendant with a personal touch for the lowest price in the market. What a nice surprise for your beloved one! Your own lines in a pendant. That is what we call a unique and personalised gift! 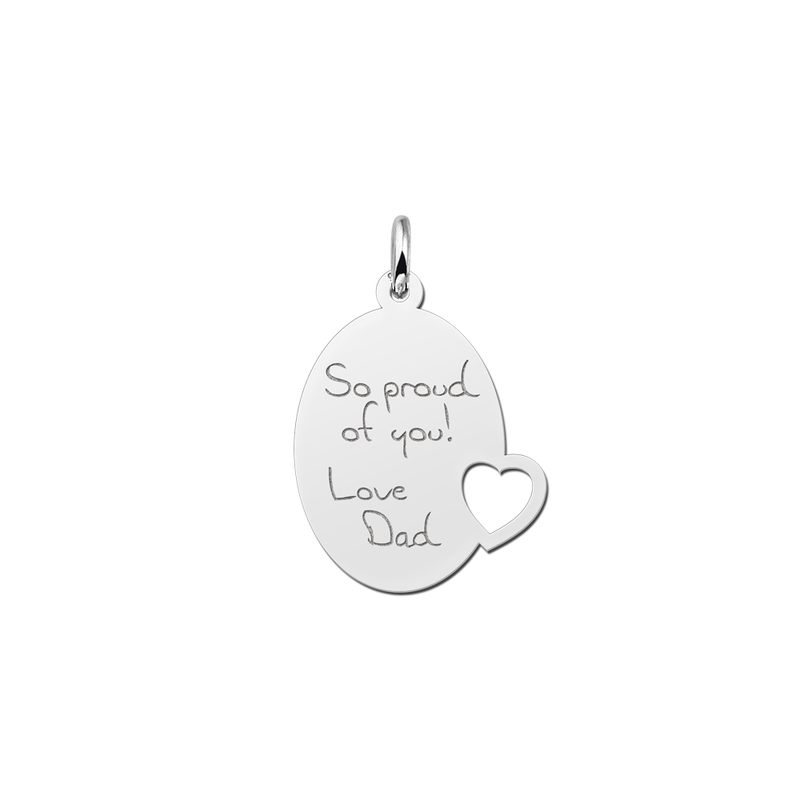 The very best is that you can put this own text in a silver or gold shiny pendant. Provide us with you text, slogan or even drawing and we will engrave it in the silver or golden pendant to make it one of a kind. Each of our pendants is carefully designed and made with care. It is a gift that warms up each woman. 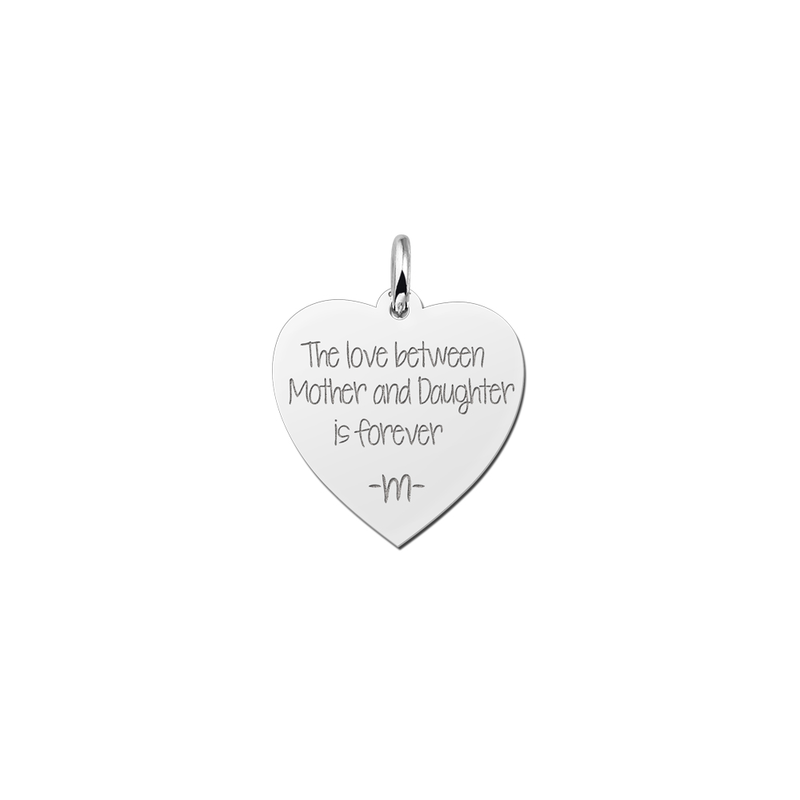 As a suggestion you could let us engrave your own name or the names of your beloved children in the pendant. Of course it is possible to have your children write their own names themselves. That is what we call a unique and personal gift! 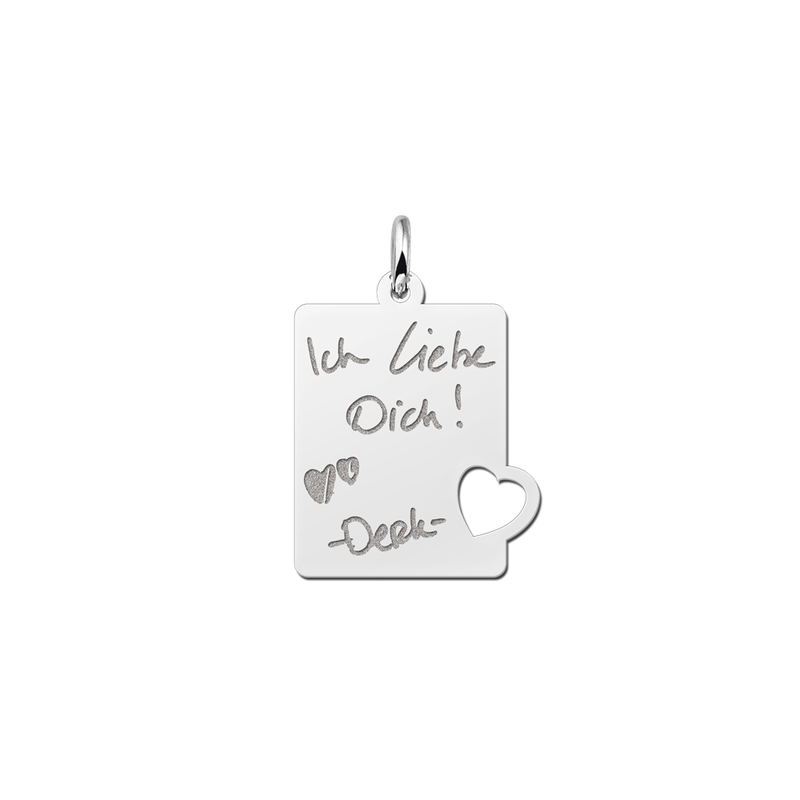 Place your own message in this pendant for your beloved ones. 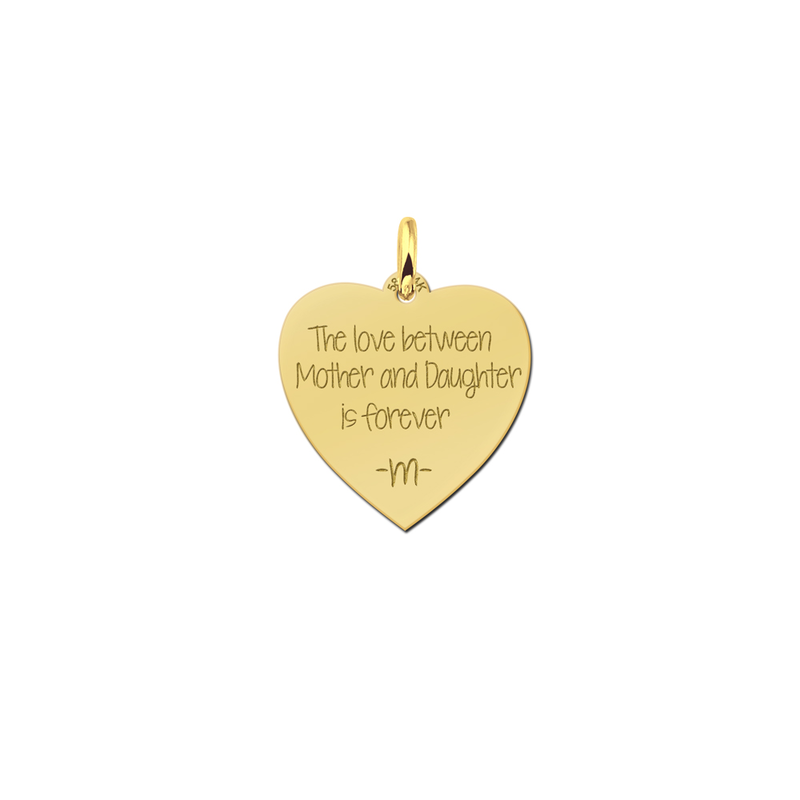 Does your daughter have a special presentation and you want to reward her with a beautiful gift? 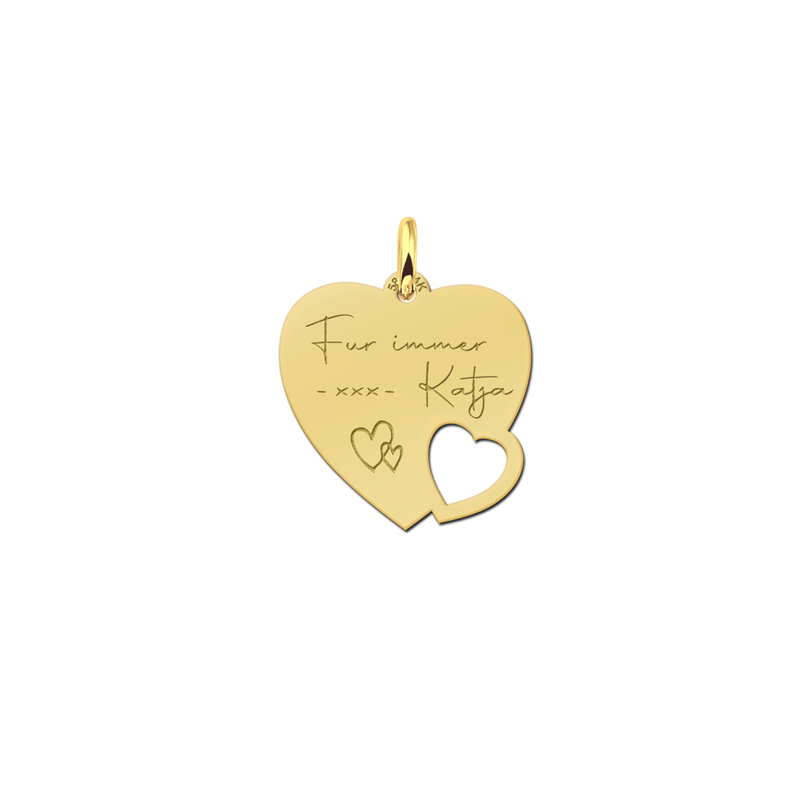 Then this personal pendant will be the most special gift for her. Or are you two best friends and you want to give each other something unique? Then give each other a super personal pendant. 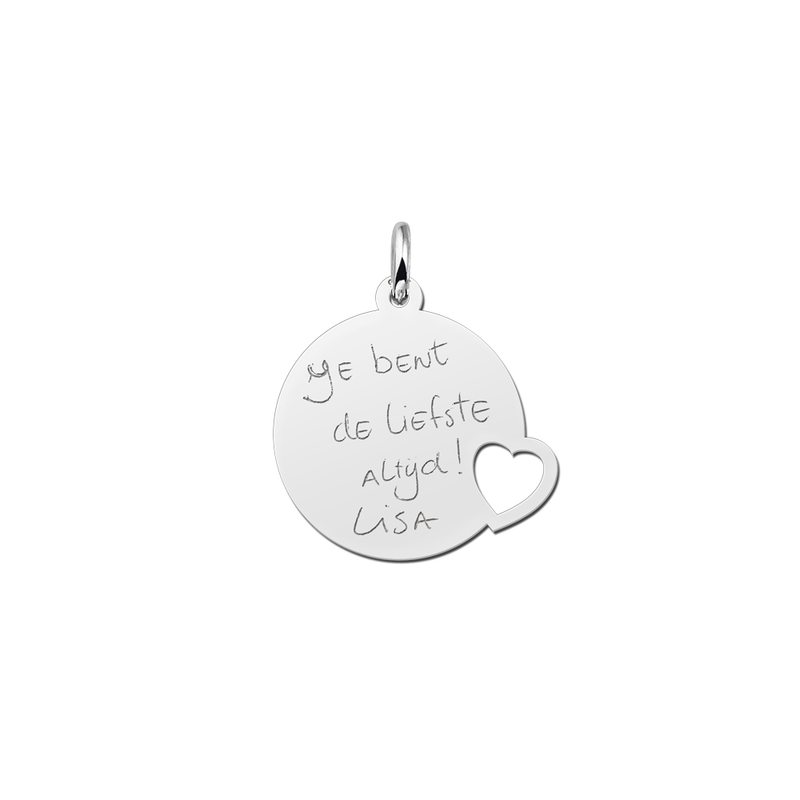 Each of you can use your own friendship message and we will engrave it in the pendant. It will seal your friendship forever. It is as well possible to design the pendant together to make it even more unique and charming.